Talk about being a boss! 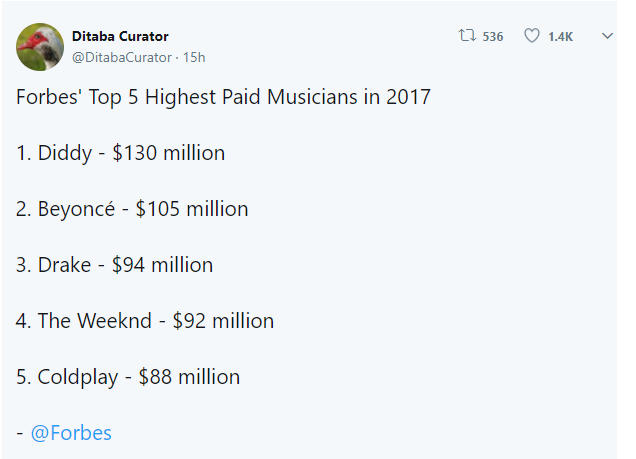 Forbes has released its annual list of the highest paid musicians for the year 2017 and Diddy is the highest paid even though he hasn't released any new music. 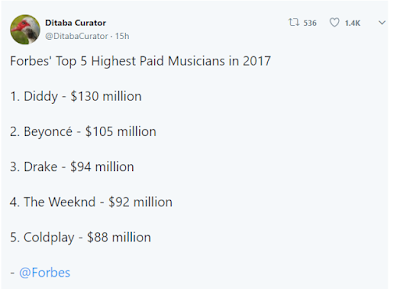 Infact the top 4 highest paid musicians of 2017 were black artists. 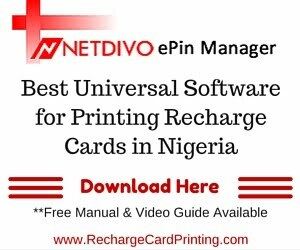 After Diddy, Beyonce ranks second, followed by Drake. 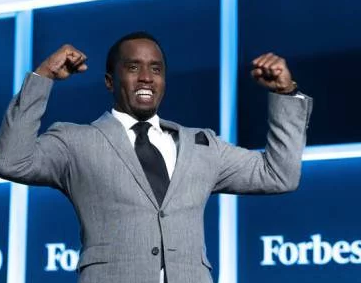 Sean "Diddy" Combs made $130 million in earnings over the past 12 months. 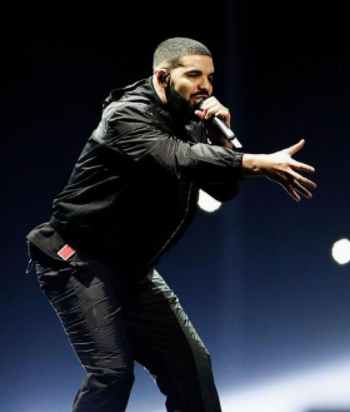 Forbes reports that there are three reasons behind the rapper and mogul’s climb. He sold one-third of his Sean John clothing line for an estimated $70 million, he has his lucrative Diageo Ciroc vodka partnership, and he put on his Bad Boy Family Reunion Tour. Diddy wasn’t on last year’s list, which was topped by Taylor Swift. Swift fell from the top spot to No. 49 with $44 million earned over the past year. Beyoncé made a huge jump from No. 34 last year to this year’s No. 2 ranking with $105 million earned. Forbes attributes her meteoric rise to her Formation World Tour and the release of her visual album, "Lemonade."